Europeans are traditionally tied to the land. In pre-industrial times, farming was the predominant lifestyle, you and your folk may not own the land you worked on, but every year you would put in a crop, tend it, harvest it in season, store as much as you could to get through the winter, sell or trade the excess, and start over again the next year. Villages and towns sprung up as trading and cultural centers. Occasionally, some of the men would be called up to go and fight for the local lord in some military operation or another, but in all likelihood, you would eventually be buried in the yard of the same church you were baptized in as a baby. In time, agriculture became more efficient and the technology and capital came along to attract folks to cities where they might work in factories or as traders and merchants. They still felt a connection to the land, their families still worked the farms, food came into the city from the local countryside, and even city dwellers had a permanent home they would return to every day. On the fringe of this settled society, there arose a group of were the Gypsies. 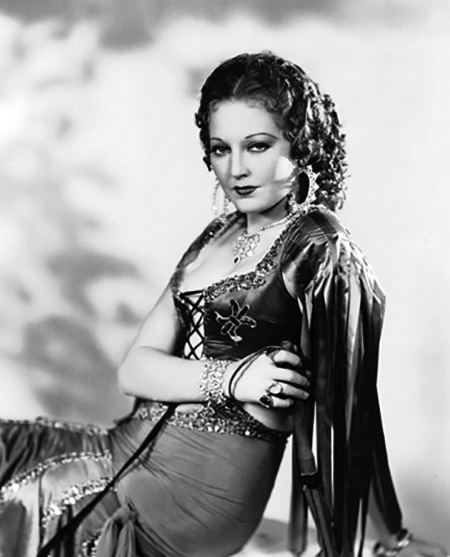 "Gypsy" is considered a racial slur by many. It refers to the dark-complexioned wanderers first seen in the European countryside as early as the 12th century. Because of their dark skin, the assumption arose that they came from Egypt, however, they were mainly descended from the Rom peoples from the Indian subcontinent. There is a legend of a Persian king who was dismayed to learn that his poorest subjects could not afford to enjoy music. He appealed to the king of India, who sent 10,000 musicians to Persia where the king gave each an ox, a donkey, and a donkey-load of grain. The idea was that the musicians could plant the grain to feed themselves and they would be able to play for the poor while the crop was growing, but the musicians misunderstood, ate the oxen and the grain, and returned, hungry, to the Persian king a year later. Angered that they had squandered his gift, the king ordered them to leave his kingdom and to wander the world. The Romani spread across Europe from the Balkans to the British Isles, and there are an estimated one million Romani living in the United States. The Irish Travellers are culturally very similar to the Romani, however, they arose in the British Isles and are genetically Irish. The Travellers spread throughout Britain and many immigrated to North America in response to the Irish famines of the mid-1800s. Travellers and Romani both travel in closely knit extended family groups, traditionally riding and living in highly decorated, barrel-shaped "Gypsy wagons". Their lifestyle precludes formal education and illiteracy is common, however, experience in dealing with people who consider them to be outsiders has engendered a form of native wisdom and they are known to be skilled traders. Being outsiders, they also received a reputation for being dishonest and untrustworthy. 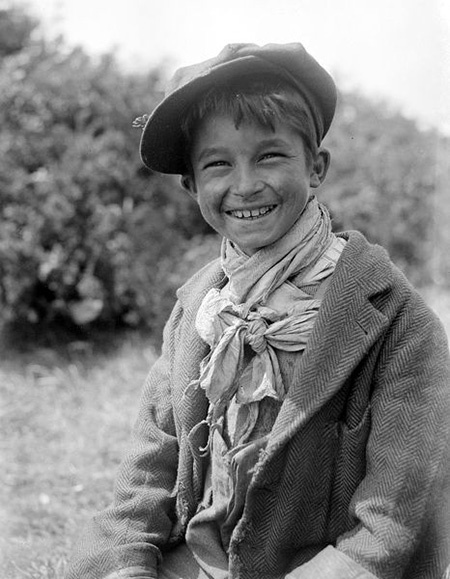 The terms "gypo" or "to be gyped" refer to being victimized by gypsies, which led to Romany peoples and Travellers to regard Gypsy as a derogative title. The wanderers served the Settle communities as tinkers who were skilled at repairing metal cooking pots, as well as entertainers known for their singing and dancing skills. Sometimes slight-of-hand and fortune telling were added to the shows which, along with the exoticism of their lifestyle, helped to create a supposed connection between Gypsies and supernatural forces. This alone was enough to make Gypsies favored companions for Chandu the Magician. Even more dreadful than the Gypsies' alleged dishonest practices is their ability to impose a powerful curse on anyone foolish enough to cross them. Gypsy curses are plot points of shows like Inner Sanctum Mysteries and Suspense, and even turn up on less fantastical programs like Crime Club and Gunsmoke. Be the first to comment on "Gypsies"